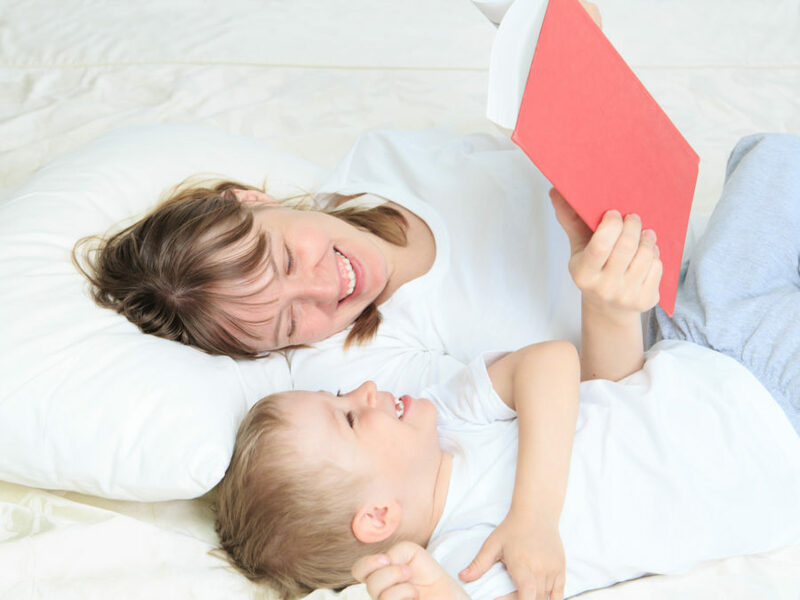 Why reading aloud is the one of the greatest perks of parenting. Reading aloud is one of my favorite parenting jobs. And make no mistake, raising kids is a job. The whole “keeping them alive” thing is hard work. Playing inane, ridiculous games with a three-foot tall dictator is exhausting. But at the end of every blessed day, there is a moment of reprieve. We crawl into bed, snuggle under the covers, and open a book. 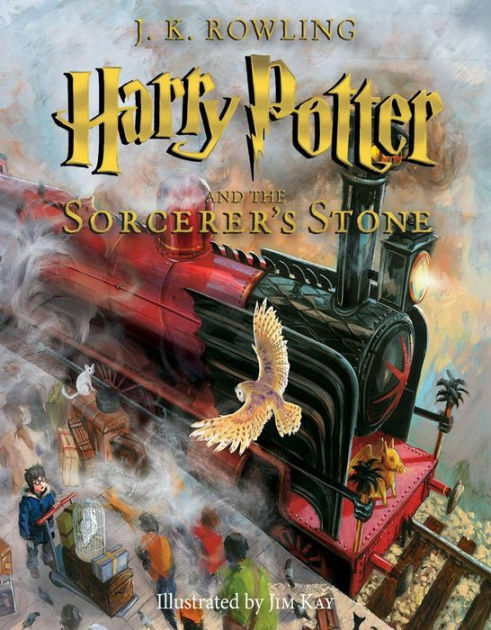 In March, my son turned six and I gave him a copy of Harry Potter and the Sorcerer’s Stone. We read it together each night before bed, and as soon as we got to the end of the book we immediately started over from the beginning. When we finished that second go-round, we went out and bought Book Two the following day. By April, he had announced he was going to be Harry Potter for Halloween. I began reading to my son when he was a baby. Two books before bedtime was our routine, and storytime was one of his favorite activities. 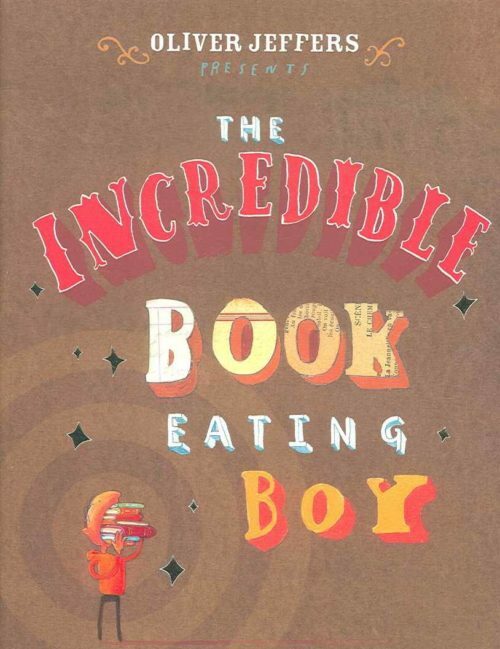 Like Henry, the hero of Oliver Jeffers’ The Incredible Book Eating Boy, my son devoured them. (Literally, as evidenced by the chewed up board books in our collection.) With each stage of development, the books evolved. From board books we moved on to picture books, and the literal consumption moved safely into the figurative realm. With small children, repetition is the name of the game. Kids absolutely delight in the familiar. 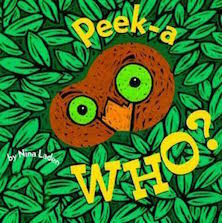 Peek-a-boo never gets old—nor does Peek-a-Who, the book. Our shelves overflowed with books, but he had favorites, and we read them over and over and over again. My preference was always the rhyming books, because I could recite them with my eyes closed. 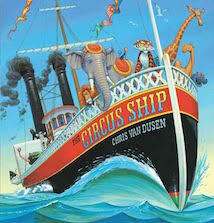 Put me on a stage tomorrow and I could do a dramatic reading of Chris van Dusen’s The Circus Ship from memory. 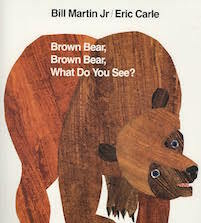 Six years from now, ask me what that Brown Bear saw. I dare you. When he was three years old, the kiddo got his first library card, his attention span ballooned, and a new world of chapter books opened up to us. 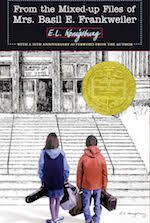 We started with the Magic Treehouse series, the formulaic but perfectly age-appropriate adventures of Jack and Annie, a brother-sister team of bookworms who travel through time. There are just enough illustrations in the books to keep young eyes focused, and the introduction to world history sparked his curiosity. But ohmygod after reading aloud forty-two variations on the same plot, I was ready to move on. I racked my brain to come up with books that I loved from childhood that were suitable for a four-year-old boy. He wasn’t yet ready to sit through A Wrinkle in Time or the Chronicles of Narnia. But what about The Phantom Tollbooth? I picked up a copy at my local used bookstore and we jumped in. It was glorious—even better than I remembered. We read it aloud, chapter by chapter, every night for a few weeks—20 chapters in all—and he was transfixed by the adventures of Milo, Tock, and the Humbug. 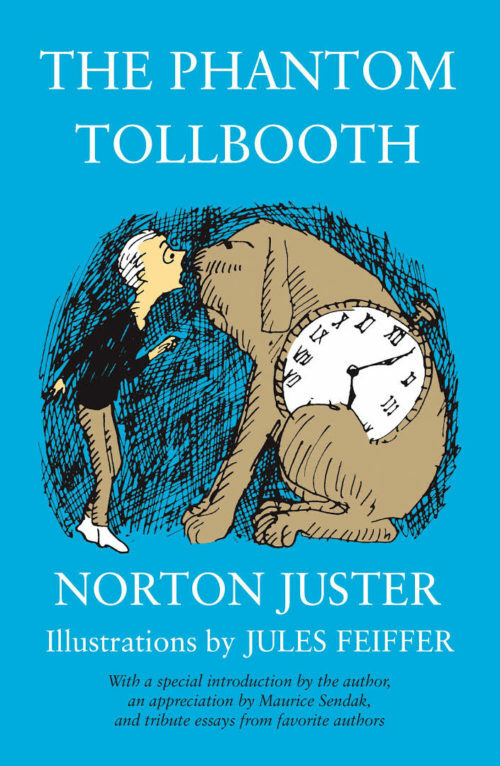 I remembered reading The Phantom Tollbooth as a child and even performing in a school play version of it in middle school, but what I didn’t remember was the incredible sophistication of the language and the multitude of layers baked into the story. Norton Juster is a master of word play (synonym buns!) and while many of the metaphors are heavy-handed (it is a children’s book, after all), it was a delight to re-read as an adult. Much of it sailed over the kid’s head, but every time I asked him if he wanted to read something else, he insisted on continuing. We both looked forward to it every night. 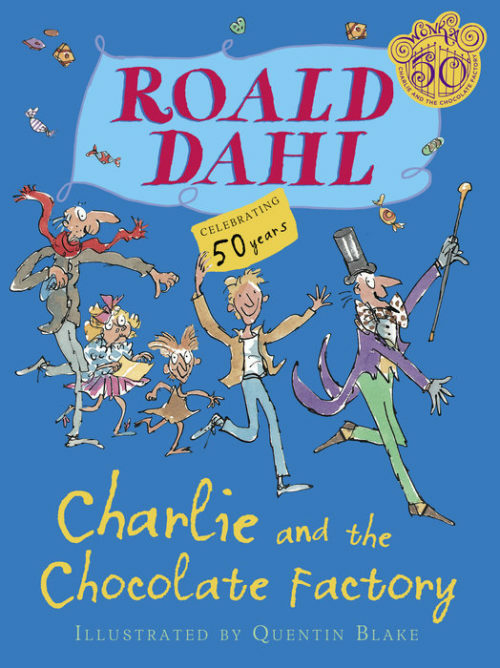 Sadly, the follow-up book, Charlie and the Great Glass Elevator, wasn’t as good, but Roald Dahl redeemed himself with James and the Giant Peach. Next up on our Dahl TBR are Matilda and The BFG, and I can’t wait. An aside: I highly recommend getting the audio book version of James and the Giant Peach. It’s masterfully narrated by Jeremy Irons, and it is hysterical. I love getting books on CD at my local library and listening to them in the car on the way to and from school and swimming and soccer and birthday parties—seriously, you can sneak a lot of literature into their developing brains while driving the mom taxi. Not every book that I remember fondly has held up thirty years later. 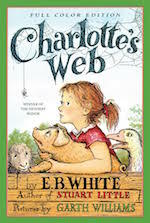 Charlotte’s Web was exquisite and possibly even more heartbreaking to read as an adult, but Stuart Little was a hot mess. Quite apart from the premise of a human giving birth to a mouse and then offering the young mouse-boy brandy and cigars (um…? ), the plot is a trainwreck. Calling it “episodic” would be charitable, and the total lack of resolution at the end made me want to chuck it at the wall. But throwing books is not allowed in our household, so I had to be a grownup and pretend it was “fun” for us to imagine whether or not Stuart would find his beloved bird friend. See? Parenting really is hard. Now that he’s in first grade, my son is starting to read on his own, but I have no intention of quitting our nightly reading routine anytime soon. Quite on the contrary, research shows that now is the time when it’s more important than ever to read challenging books aloud to him. We’ve been crawling our way through The Hobbit (Tolkien is wayyyy more long-winded when you read him out loud) and I’m eager to revisit old favorites like From the Mixed-Up Files of Mrs. 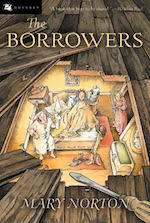 Basil E. Frankweiler, The Borrowers, and more recent adventures like Philip Pullman’s The Golden Compass. And of course, Harry Potter. Re-reading the series through the eyes of a six-year-old boy, I now fully appreciate the genius of J.K. Rowling. 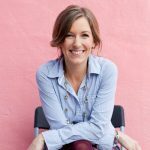 I was in college when she introduced the world to Hogwarts, and I wasn’t particularly interested in wizards or midnight releases. I read the first three or four books, then never finished the series. But now? I’m hooked. After we finished Harry Potter and the Chamber of Secrets, I made my son wait a little while because I didn’t think he was old enough for Dementors. To bide our time, we checked out the first two books on CD and listened to them in the car. Six months have gone by, and he’s been begging for Book Three. As soon as the Halloween stores opened in September, he got his Gryffindor robes. His best girl friend, who’s equally obsessed, is dressing up as Hermione. Last week, we started reading Harry Potter and the Prisoner of Azkaban, and it’s hard to say who is enjoying it more, he or I.
Oh, and I’ve decided to dress up as Dumbledore for Halloween. 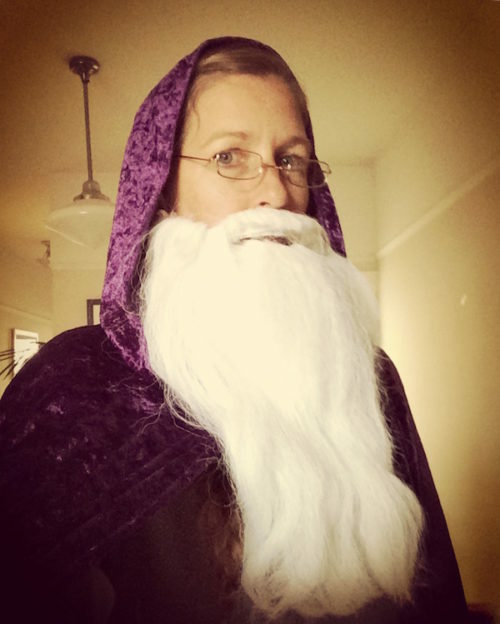 I hit up Party City last weekend to buy a beard and a velvet robe. Because parenting is a job, and I am crushing it. What books are you looking forward to reading with your kid?